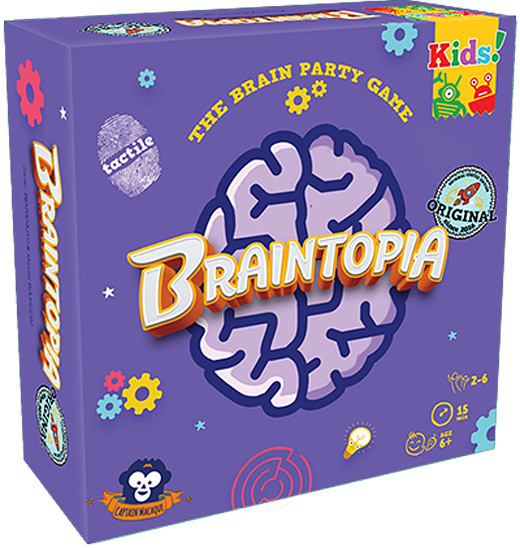 Braintopia Kids is a follow-up to the fast-paced brain bender that tests your mental focus, exibility, and speed, but geared toward younger players. 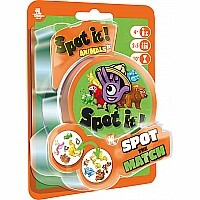 Comprised of eight different types of challenges, up to six players race through a deck of cards, ghting to keep up with the ever- changing mini-games, and attempt to solve the puzzles faster than their opponents. 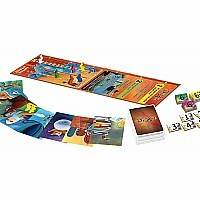 Collect brain tokens by beating a single Touch challenge or claiming a pair of cards from any of the other seven games: Maze, Odd one out, Coordination, Duplicates, Frequency, and Reasoning. 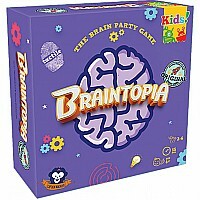 The first player to collect four brain tokens wins the game!